The Golden Globes are in full swing with stars wearing black to protest sexual harassment and abuse in the industry — yet viewers are roasting red carpet hosts on Twitter for their “idiotic small talk” instead of asking about the #MeToo and #TIMESUP movements. “What is with the @e_entertainment hosts not asking their male guests about the #TIMESUP and #MeToo movements, missing the point much? #GoldenGlobes,” tweeted one user. “Facebook live feed hosts manage to interview Christopher Plummer without ever mentioning sexual harassment or Kevin Spacey #GoldenGlobes #HFPA,” tweeted another. 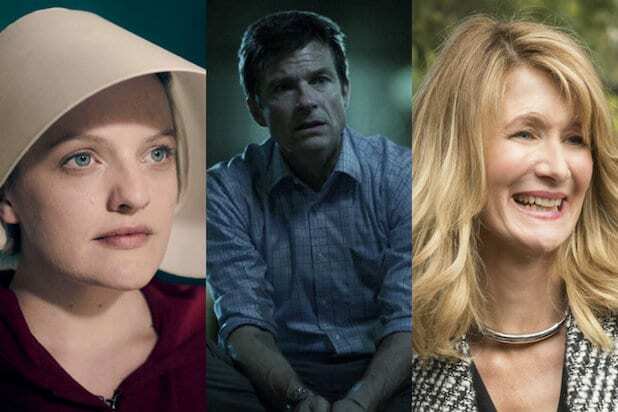 Other viewers commented on how the hosts consistently cut stars off while talking about the two movements, particularly while interviewing Kerry Washington, who has stood behind the Time’s Up coalition, or softballing questions about sexual harassment in general. STOP INTERRUPTING WOMEN EXPLAINING #WhyWeWearBlack. Let them finish their sentences,” tweeted another user. Hollywood’s elite are wearing black to the 75th Golden Globe awards to protest sexual assault, abuse and harassment in Hollywood, and to support those who have spoken out. This comes after heavyweights like Harvey Weinstein, Kevin Spacey, Dustin Hoffman, Louis C.K., Morgan Spurlock, and many more were accused of sexual misconduct. Representatives for E!, Facebook and The Hollywood Foreign Press Association have not yet responded to TheWrap’s request for comment. Read tweets about the red carpet hosts below. STOP INTERRUPTING WOMEN EXPLAINING #WhyWeWearBlack. Let them finish their sentences. Every single one of the hosts on the Facebook live show of #GoldenGlobes are awful! It’s like they’ve never interviewed a celeb before. Anyone else think the #GoldenGlobes hosts are extra awkward this year? 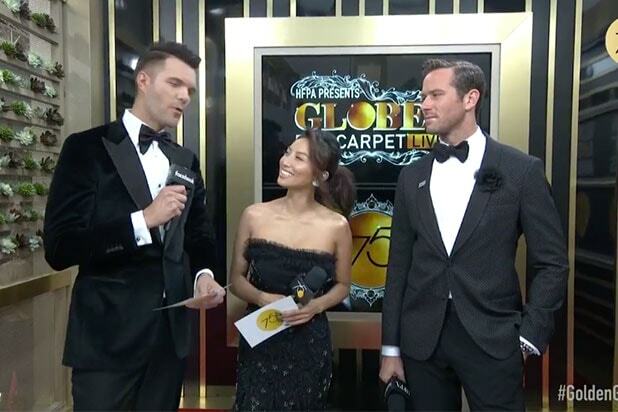 Watching a #GoldenGlobes red carpet livestream and the hosts are so painfully unable to read the room I am shrinking in into myself.